The term Bail could be used in several distinct forms: (1) It may indicate the security-cash or bond-given for the appearance of the defendant. (2) It may also mean the bondsman (i.e., the person who acts as surety (signer on the bail bond) for the defendant’s appearance, and into whose custody the defendant is released). (3) As a verb, it may refer to the release of the defendant (he was bailed out). The first meaning is the most common and should be employed for clarity. Admission to bail is an order from a competent court that the defendant be discharged from actual custody upon bail. The discharge on bail is accomplished by the taking of bail (i.e., the acceptance by the court or magistrate of security-either an undertaking or deposit-for the appearance of the defendant before a court for some part of the criminal proceeding). Bail is evidenced by a bond or recognizance, which as a rule becomes a record of the court. The bond is in the nature of a contract between the state on one side and the defendant and his sureties on the other. The agreement basically is that the state will release the defendant from custody the sureties will undertake that the defendant will appear at a specified time and place to answer the charge made against him. If the defendant fails to appear, the sureties become the absolute debtor of the state for the amount of the bond. 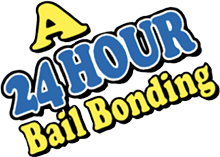 An undertaking is a permissible type of bail security. The taking of bail consists of a competent court accepting an undertaking of sufficient security for the appearance of the defendant, according to the terms, or the surety will pay a specified sum to the state. 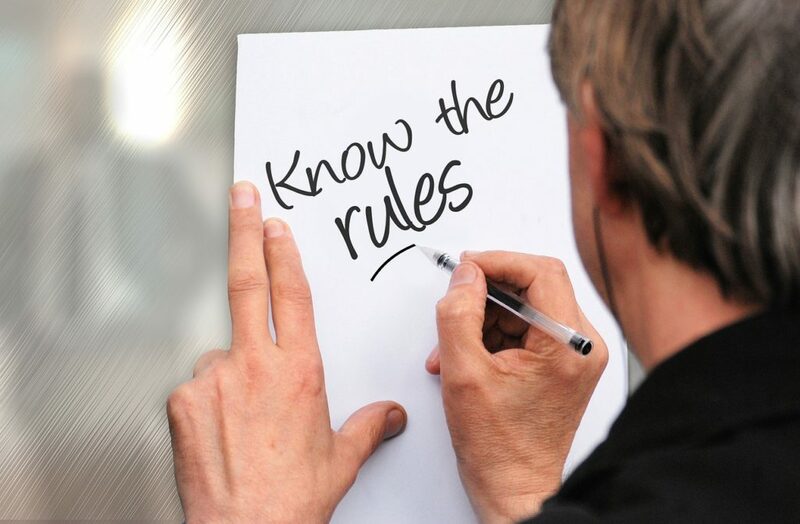 Corporate sureties are commonly used, and the court will accept an admitted surety insurer`s bail bond power of attorney if executed by the insurer`s licensed bail agent and issued in the insurer`s name by an authorized person. In most State systems the defendant, or any other person, may deposit the sum mentioned in the bail order or bail schedule. 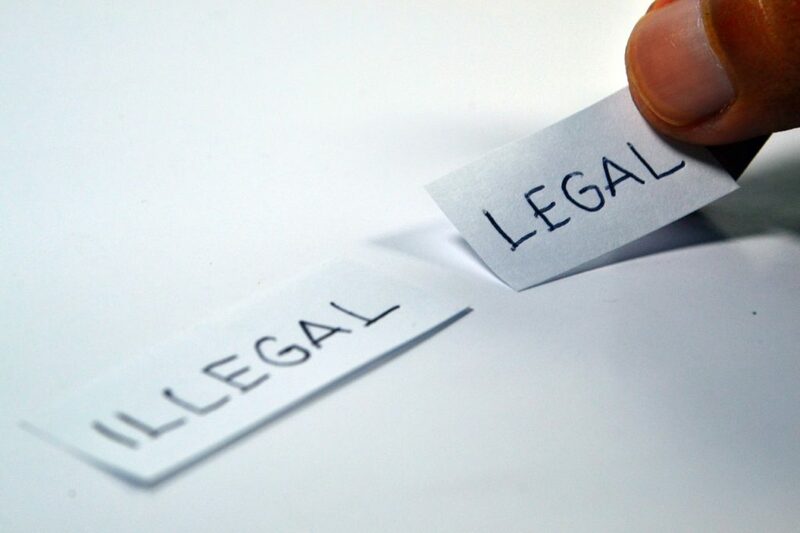 Cash is accepted, and it is the practice for each court to adopt a written policy permitting acceptance of checks or money orders, upon conditions that tend to assure their validity, in payment of bail deposits. Some courts have a maximum amount over which a personal check will not be accepted. Depending upon the jurisdiction, government bonds may be accepted. Please note some jurisdictions will set a bail order requiring a corporate surety bond. This means that you can only post bail thru a surety bail bondsman. What if someone believes that the money to be used to bail someone out is the product of criminal activity? The judge or a magistrate may stay the release of a defendant if a peace officer or prosecutor files a sworn declaration demonstrating probable cause to believe the source of the consideration, etc. was feloniously obtained, or the judge or magistrate has probable cause to believe the source was feloniously obtained. This order is commonly known as a Nebbia Hearing or Bail Sufficiency Hearing. If probable cause exists, the defendant then bears the burden by a preponderance of evidence to prove that no part of the source was so obtained. A defendant who prevails must be released on issuance of a bail bond as specified. The purpose of bail is to assure the attendance of the defendant, when his or her appearance is required in court, whether before or after conviction. Bail is not a means of punishing a defendant, nor should there be a suggestion of revenue to the government. Although the right to bail has constitutional recognition in the prohibition against excessive bail, bail is not always a matter of right. However, with certain exceptions a defendant charged with a criminal offense shall be released on bail. 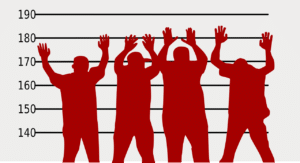 Persons charged with capital crimes when the facts are evident or the presumption of guilt great, are excepted from the right to release on bail. However, a defendant charged with a capital crime is entitled to a bail hearing in the trial court to determine whether the facts are evident or the presumption great. A capital crime is an offense that a statute makes it potentially punishable by death or life imprisonment, even if the prosecutor / government has agreed not to seek the death penalty. It is presumed that the risk of flight of the defendant is too great when he or she is facing death or life in prison without the possibility of parole. Is the Public Safety issue measured in the decision to admit a defendant to bail, or to deny Bail? Bail can be denied in certain non-capital cases based upon a finding of substantial likelihood of harm to others. When the facts are evident or the presumption of guilt is evidently great, bail may be denied in the following instances: In felony cases involving acts of violence, or felony sexual assault offenses on another person, if the court finds on clear and convincing evidence that there is a substantial likelihood that the release of the accused would result in great bodily harm to others. In a felony case, if the court finds on clear and convincing evidence that the accused has threatened another with great bodily harm, and that there is a substantial likelihood that the accused would carry out the threat if released. The requirement of findings based on clear and convincing evidence implies that a hearing will be held on the issue. If there is existence of a substantial likelihood of public harm or danger to the community it would be determined on the basis of the specific circumstances of the case, the testimony of witness’ and prior history of the defendant. The decision to grant or deny bail is subject to review on a court petitioned motion by the defendant. The amount of the bail is first and foremost within the scope and discretion of the judge or magistrate, with only two general limitations: First: The purpose of bail is not to penalize or punish the defendant, but only to secure the appearance of the accused, and it should be set with that in mind. Second: Excessive bail, not warranted by the circumstances or the evidence at hand. Is not only improper but a violation of constitutional rights. In fixing the amount of the bail, the court takes into consideration the seriousness of the charge, the defendant’s previous criminal record, and the probability of the defendant appearing at the trial or hearing. Additionally, if public safety is an issue, the court may make an inquiry where it may consider allegations of injury to the victim, danger to the public and/or to the defendant him/her self, threats to the victim or a witness, the use of a deadly weapon, and the defendant’s use or possession of controlled substances. A judge or magistrate setting bail in other than a scheduled or usual amount must state on the record the reasons and address the issue of threats made against a victim or a witness. The court must also consider evidence offered by the detained person regarding ties to the community and ability to post bond. The bail amount set by the court must be within the minimum range amount of bail that would reasonably assure the defendant’s appearance. NOT the Maximum! When the bail has served its purpose, the surety will be exonerated (i.e., released from the obligation). Exoneration normally occurs when the proceeding is terminated in some way or on the return of the defendant to custody. After conviction, the defendant appears for sentence. If sentenced to jail confinement or imprisonment the defendant is committed to the custody of the sheriff, and the liability of the surety/s’ is discharged. A defendant who is convicted and given probation, is released from custody and the bail bond must be exonerated as a matter of law. What is the difference between a surety and a professional bail bondsman? A professional bail bondsman is a bail bondsman who pledges his or her own property / security to guarantee the bail bond to the state. A surety bail bondsman utilizes the financial strenght and backing of an admitted insurance company. A surety bail bondsman is also able to post federal court and immigration bail bonds, where a professional bail agent is not. Inmate GPS Tracking is the real-time, wireless identification of a defendant’s location and their surrounding areas. ELMO or Electronic GPS monitoring is a tool that bail bond companies use to track high risk defendants. The courts are also more and more utilizing Elmo systems when setting special conditions of release on bond.